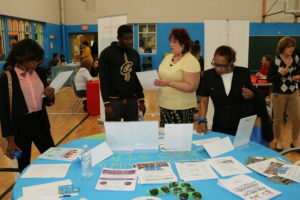 The Council for Economic Opportunities in Greater Cleveland (CEOGC) held its annual community job & career fair featuring a partnership with the Boys & Girls Club of Cleveland. 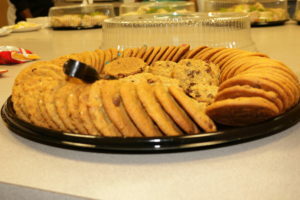 The fair was hosted at the BGCGC site in Slavic Village, a new venue for the community event. 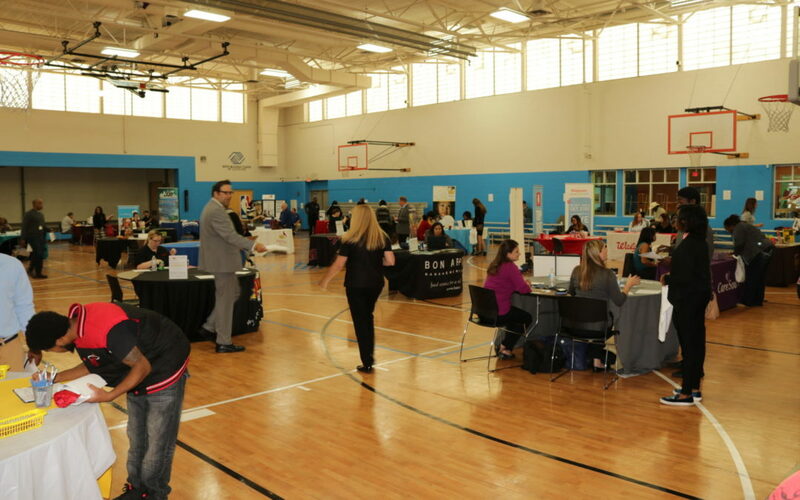 Over 15 different companies were represented at the fair providing many opportunities for job seekers. Multiple attendees left the fair with more than two scheduled interviews. This was especially true for Topeka Brown, who came in seeking a job and gained the attention of multiple vendors. 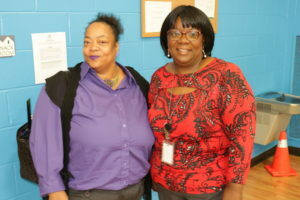 Topeka Brown (left) shares a photo with Development & Workforce Manager, Creola Rice (right). “I have three job interviews lined up and I think I have a great chance of receiving a job,” said Brown. 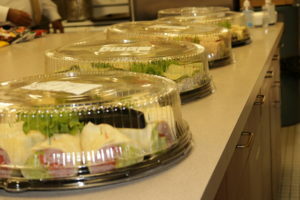 Special thanks to Dave’s Markets for catering lunch for the event and to all vendors that came in support of the community! If you or anyone else you may know are looking for employment opportunities, check out our CEOGC Job Board! 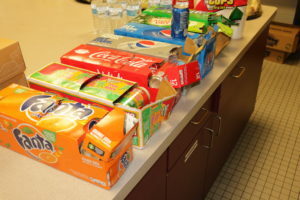 UPDATE: After compiling the results from this Community Job Fair, CEOGC found that 59 people were hired! These are great results and we are ecstatic to continue to impact the community and the Greater Cleveland area! Thank you to all the partners that participated in this year’s final job fair. It was a major success.